This marks the week of three and four of the growth and protective series. The reason why I love this series so much is because weave and wigs can be so much fun to wear. They give you the versatility to do pretty much what you want with the hair. The possibilities are endless as to the different styles you can have. And not to mention the extras like color. You can have any color hair you want with NO DAMAGE TO YOUR REAL HAIR! It's absolutely amazing. I can totally see how people get addicted to wearing weave all of the time. 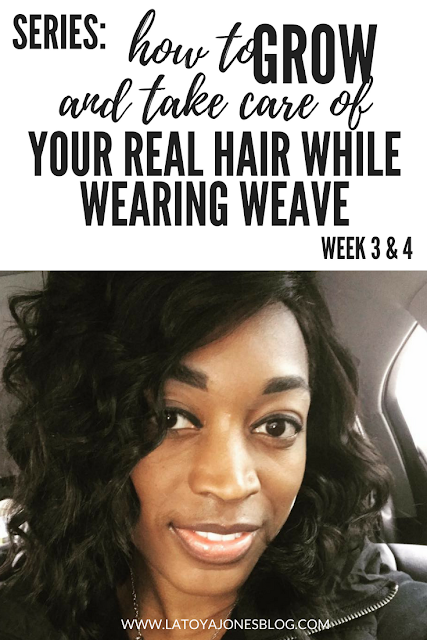 However, the one, and most important thing that we must not forget is to always take care of our real hair underneath the weave. 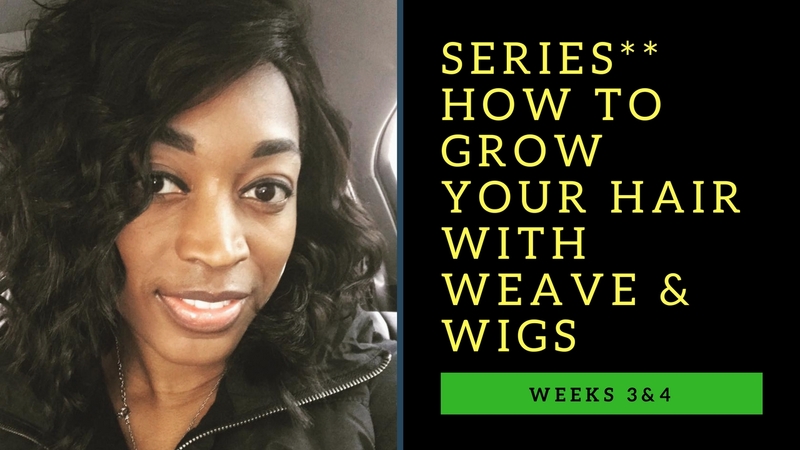 Keeping the hair healthy underneath is what allows the hair to grow faster and thicker. We'll start with the shampoo process. I removed all of the dirt, oil, and residue from the hair with the Silk Hydration by L. Jones Extreme Clean shampoo. Next, I began to add the moisture back in with the Silk Hydration by L. Jones Extreme Moisture shampoo. This week I conditioned with the Replenishing Conditioner. I followed that up with the Leave-In conditioner. I sprayed this conditioner very generously in my hair to give it that extra layer of moisture. The worst thing you can do is have dry, brittle hair under some braids. It will leave you with hair that easily breaks which is never a good thing. Next, I moved on to the blow dry and once the hair was completely dry, I then had it braided. The rest was smooth sailing because after that I only put the wig on. I ended up keeping this style for two weeks because the braids still looked good. I also made sure to oil my scalp after I got it braided. I keep it oiled three times per week to stimulate blood flow to the brain. Other than that, I absolutely loved not having to do my own hair for TWO weeks.